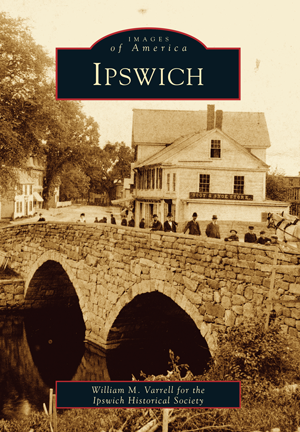 Founded in 1634, Ipswich is one of the oldest towns in America. It currently has more First Period houses still lived in than any other community in the United States. It was originally the home of Colonial governors, renowned furniture makers, sea captains, and the Heard family, who were giants in the China trade. Added to the early settlers were immigrant millworkers and millionaires who built summer mansions. As nearby towns with broader rivers and deeper harbors became commercial successes, Ipswich went into decline. It was this "hibernation" that enabled Ipswich to maintain its earliest homes, spectacular scenery, and local charm. Through more than two hundred vintage images, Ipswich takes the reader on an exciting journey through the history of this unique town. It presents the town's creative artists, the lives and occupations of its everyday citizens, beautiful landscapes, the mills and the country stores, and the ships and shipwrecks that met the Ipswich coast. Founded in 1890, the Ipswich Historical Society operates two museums on the South Village Green-the John Whipple House and the Heard House Museum-and provides lectures and other educational programs for its membership and the public. For this project, the Ipswich Historical Society was fortunate to augment its rich historical photograph collection with selections from major collections of individuals and institutions. These vivid images, together with writer William M. Varrell's gift for local history stories, create a delightful picture of this historic town.